The Resident Evil series has changed a lot during the years, going from the horror atmosphere of the first few entries to a more action-oriented approach in later ones. Resident Evil 7 has gone back to the series’ root with a horror approach, and Resident Evil 2 Remake is going to bring the classic experience of the original with updated graphics and gameplay. According to producer Tsuyoshi Kanda, players shouldn’t expect the horror template for future entries. 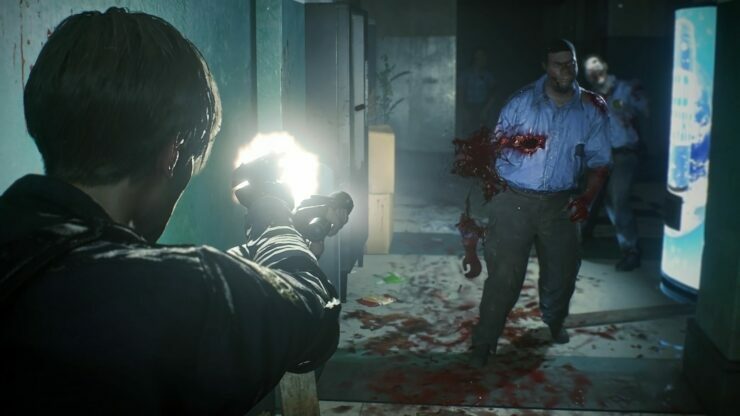 Speaking with Polygon, Tsuyoshi Konda spoke about the series as a whole, noting how both the horror and the action-oriented approaches have their share of fans. While producers decide the tone of each game, in no way one of them will be the main creative path for the series. Well, for each game in the series, you know, the director of the team has really decided the approach. Even for the games that are more action-oriented, we feel like they all still have horror as a base of them. That’s the theme of the game and the general atmosphere. And then each has been able to choose whether they’re going to lean it toward a more-action experience or a less-action experience. I think there’s definitely room for both in the series, because it’s such a huge franchise now that we can’t say one size fits all — that this is what Resident Evil is and you have to like that. We know there are fans of both styles. Some people got into the series during the 4, 5 and 6 period of having more action-focused games. They love that. Some others got into the classic series, and that’s what Resident Evil means to them. It means different things to different people. So we don’t necessarily have to stick to one template. You mentioned zombies. Not having zombies in the game doesn’t mean you’re no longer a horror game. Resident Evil 7 was an amazing, intense horror experience without a zombie in it; it focused on the Baker family. That’s one approach to having a zombie-free, horror-focused game. That’s just a decision that’s made for each game on its own. I think we don’t need to set one creative path where we say “Resident Evil is this now” and it’s going to be that going forward. Each team will look at its title and decide what it wants to do with the concept, to decide the approach they want to take. That’s how we approach the creative throughout the series. Speaking about remaking Resident Evil 2, Tsuyoshi Konda confirmed that the remake’s zombies will come with the same feel of the ones seen in the original Resident Evil and Resident Evil 2, updating them visually so that they may become scary again. Since the release of the original game, zombies have gone mainstream, so this was a requirement. The problem we have to face with the remake is that [the ’90s] zombies have become so standard across all genres of fiction and media, like movies, games and TV. We’ve kind of hit peak zombie, and it’s also come and gone. You can’t just show zombies onscreen and be like, “OK, be scared.” People are used to them, and they’re kind of the low-level enemy in the video game enemy hierarchy. They’re no longer the enemy that you feel scared by. So we wanted to make you feel with the remake’s zombies the way you would have felt seeing the original Resident Evil 1 and 2 zombies — but updating that visually. We want you to feel that zombies are scary again. They’re not just a bullet sponge you have to deal with to get through the game. We’ve really worked hard on the visuals and the physics of them. We let you aim for specific parts of their body. We have realistic, real-time bullet damage to specific parts of them. They can be dismembered. You can shoot off a leg to disable them or shoot off an arm so they can’t grab you. And when they come up close and grab you, the camera swings in for this really intense claustrophobic feel. Even if you think zombies are kind of passé, you’ll definitely find them scary all over again in this game.